ADVANTICSYS introduces a new Wireless lighting control module HL-108 able to regulate the light intensity of lamps up to 1.6KW following two different interfaces: DALI protocol or Dimmer (1-10Vdc). It can be easily integrated into any Modbus network through the use of a DM-108 Wireless Modbus bridge acting as coordinator. Grouping a number of HL-108 devices, customer can easily implement a remote public lighting management system which regulates wirelessly the light intensity or the power up and power off dates and times, individually or collectively. Although control system can be implemented through a wire connection by using Modbus RTU on RS485 and Dali, HL-108 solves all the issues related to the wiring infrastructure by enhancing maintenance and operation through a wireless set up. 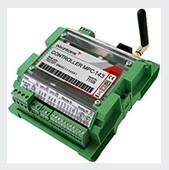 Compatibility with Wireless Mesh Network protocol used by the wireless bridge of ADVANTICSYS DM-108 is provided. The WM Config Tool software eases the process of configuring the device. The User’s Manual and the latest version of the software are available on our wiki. 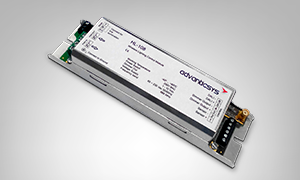 ADVANTICSYS introduces a new Long Range Wireless Modbus Bridge: DM-108 . The new device extends the typical wireless mesh network capabilities to a longer range, achiving up to 5 Km distance thanks to its multihop features. 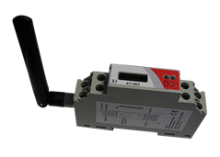 The main role of the DM-108 is to act as 868MHz wireless bridge inside traditional wired RS485 Modbus RTU installations, providing the limited point-to-point RS485 networks with the versatility and ease of installation of wireless sensor networks (WSN). Wireless transmissions are AES-128 bits encrypted. 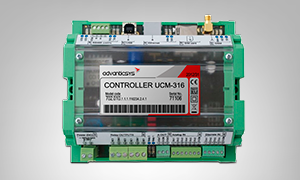 The DM-108 is fully Modbus RTU compatible, which means that any PLC, controller or PC can use its wireless features through the use of standard Modbus RTU commands. 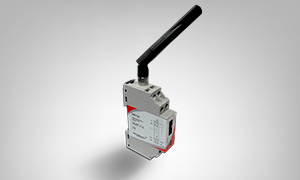 ADVANTICSYS introduces a new IEEE 802.15.4 wireless sensor compatible with DM-124 wireless Modbus networks. 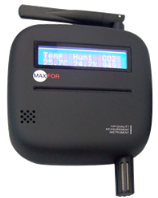 The new product, called IAQM-THCO2 is capable of measuring air temperature, relative humidity and CO2 levels. The IAQM-THCO2 is auto configurable inside the radio network, it determines the best route to send data packets, and it effectively distributes the packets to all nearby radio neighbours and answers Modbus RTU requests. The IAQM-THCO2 is fully Modbus RTU compatible, which means that any PLC, controller or PC connected to the DM-124 coordinator can retrieve data by using standard Modbus RTU commands. The DM-124 Config Tool software eases the process of configuring the device via radio. The User’s Manual and the latest version of the software are available on our wiki. 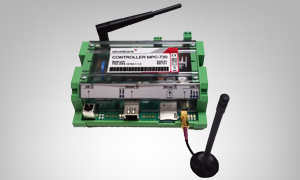 Spanish company ADVANTICSYS introduces a new device able to connect through a Wireless Mesh Network (IEEE 802.15.4) one or more ADVANTICSYS or third party Modbus devices with RS485 interface to any Modbus network. Thus, an heterogeneous network including commercial PLCs or PC-SCADAS can exchange information with any of our controllers and dataloggers without the need of a wired connection. These products are not only “transparent” devices but also advanced wireless modules, able to work as repeater and as “coordinator” node for battery-powered wireless sensor networks. The new product, called DM-124 , is not only a “transparent ” device but also advanced wireless module, able to work as repeater and as “coordinator” node for battery-powered wireless sensor networks. The DM-24 is self-configurable, which means that each node determines the best route to send data packets , effectively distributing the packets to all Modbus RTU devices. The DM-124 Config Tool software eases the process of configuring the device through the RS485 port or via radio. The User’s Manual and the latest version of the software are available on our wiki . Our new industrial products are intended for monitoring a huge range of technical processes. Specially developed to simplify the integration of systems and signals in a safety and reliable way thanks to the amount of soported interfaces, datalogging function, inputs and outputs, and unified data adquisition through standard and open protocols. The wide range of controllers together with the customization posibilities of each one, provides the capability to select exactly the controller needed for your application. We invite you to learn more of our controllers in the Products section, where you will find our MPC Selection tool, an interactive web application which helps you choose the right device. 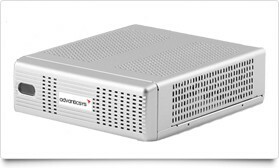 The SG1000 is a 802.15.4-Ethernet gateway device that acts as data concentrator for your wireless sensor network. The robust architecture is capable of handling data from a large number of wireless sensor nodes, being the only limit the physical memory of the system. Furthermore, the embedded database allows the local storage of these data, enabling the access to these records by external applications thanks to the configurable Ethernet interface. Moreover, a new series of kits including the powerful SG1000 have also been launched. The XM1000 is the new generation of mote modules, based on “TelosB” technical specifications, with upgraded microcontroller. The new platform provides 116Kb-EEPROM and 8Kb-RAM and integrated Temperature, Humidity and Light sensors, and is especially suitable for research that deals with complex applications that require additional memory for OTAP reprogramming or micro dpws implementation. This new IEEE 802.15.4 WSN mote is TinyOS-2.x compatible. Read more at the Products tab. The UD1000 is a IEEE 802.15.4 compliant wireless sensor node based on the original open-source “TelosB” platform design developed and published by the University of California, Berkeley. The compact USB dongle form format makes it specially adequate to act as sink node for your wireless sensor network deployments. It also holds Electric & Electromagnetic CE certification for industrial applications. Compatible with TinyOS-2.x and Contiki OS.